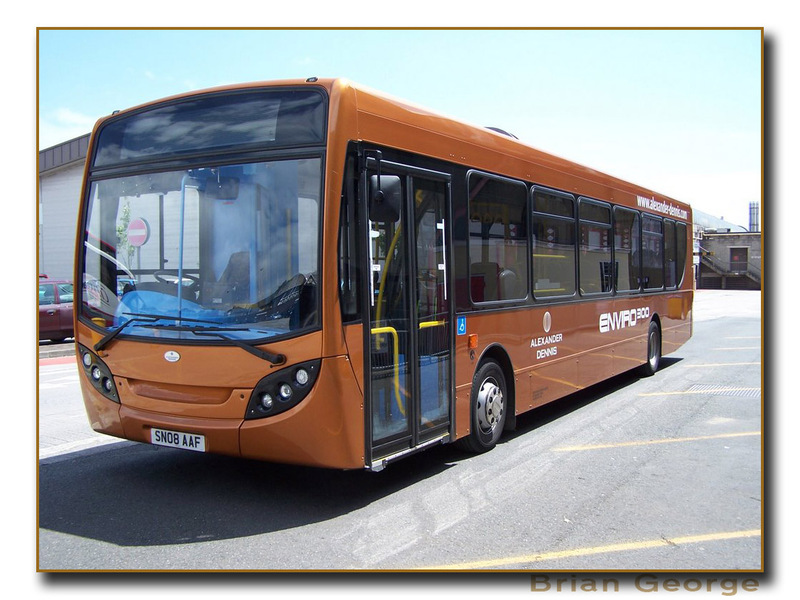 SN08AAF Enviro 300 demonstrator is back with Citybus on long term loan. Maybe they're looking to completely get rid of the high-floor darts with their next batch of Enviros? Doubt it's for route testing since the current batch can appear on almost any route (even if it's mostly used on the northern routes). What I'm more interested in is what they'll eventually replace the breadvans with. They could use solos or more mini darts, but their main problem is with services to Ford Park and the backends of Peverell - it's hard for anything other than a breadvan to run on the 31! Slim Solo's like in Exeter? There was a suggestion a while back that they were looking at taking some Solos on loan for a while, to replace the last few Mercedes. They did have a couple Solos down to trial. Nothing has happened since so I guess a change of plan. There is nothing currently on order that I know of. With my cynical head on I'd say they're flogging the last few breadvans until it's politically possible to get away withdrawing the 31; I can't see any other route that needs the 'vans as much as that one.